Before being called to the Bar in 2018, Jon was a partner for 25 years at Freshfields Bruckhaus Deringer, led the antitrust litigation team at that firm for many years, and participated and advised on in the co-ordination of the international defence of many of the major cartels uncovered in the last 20 years. His expertise ranges from advising on the making of immunity applications, attending dawn raids and advising on strategy in those pressurised situations, assisting in the defence of regulatory proceedings at European and national authority level, and addressing issues and risks relating to increasingly common national court damages claims. He has acted in many of the major UK competition litigation proceedings, particularly damages claims, of the last 15 years. Before being called to the Bar in 2018, Jon was a partner for 25 years at Freshfields Bruckhaus Deringer, led the antitrust litigation team at that firm for many years and participated in, and advised on, the co-ordination of the international defence of many of the major cartels uncovered in the last 20 years. His expertise ranges from advising on the making of immunity applications, attending dawn raids and advising on strategy in those pressurised situations, assisting in the defence of regulatory proceedings at European and national authority level, and addressing issues and risks relating to increasingly common national court damages claims. He has acted in many of the major UK competition litigation proceedings, particularly damages claims, of the last 15 years. ABB, in connection with litigation arising out of the gas insulated switchgear cartel, and the cables cartel, including assisting with the strategy for the international defence of claims such as National Grid Electricity Transmission PLC v ABB Limited (GIS) and BritNed v ABB (cables). MasterCard, defending the £14bn claim for damages in collective action proceedings in the Competition Appeal Tribunal on behalf of consumers arising from the European Commission’s decision in relation to the EEA multilateral interchange fee. Jon will appear, led by Mark Hoskins QC, at the Court of Appeal hearing of the application for permission to appeal the judgments of the CAT in MasterCard’s favour and the application for permission to judicially review the judgment of the CAT refusing to grant a Collective Proceedings Order. Ericsson, in connection with proceedings brought by Unwired Planet against Google, Huawai and others relating to the enforceability of licences for standard essential patents in the mobile telephony market. Jon co-ordinated the defence of proceedings in England and Germany. VolvoTrucks and Renault Trucks in litigation arising from the European Commission’s Settlement Decision of July 2016 relating to the medium and heavy trucks markets. Following his move to the Bar, Jon remains part of the team co-ordinating the international defence of claims brought in multiple jurisdiction around Europe. Jon was named Global Competition Review Litigator of the Year in 2017. Jon’s experience of dealing with contentious competition law matters stretches back to the 1990’s when he was a partner in Freshfields Brussels office, and has led to him having one of the leading antitrust litigation reputations in the UK and beyond. He founded and led the Global Antitrust Litigation Forum since it was formed in 2012. 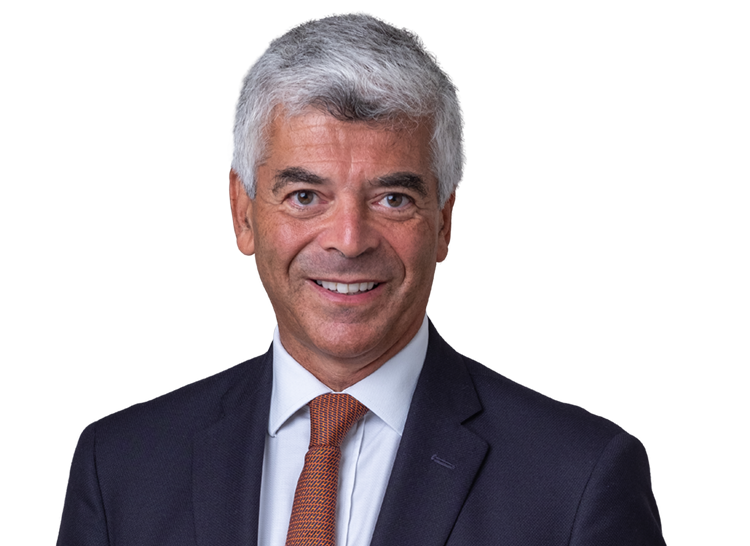 Jon has acted in many of the leading cases in the English Courts, particularly in claims for damages arising from antitrust infringements (including cartels). Acting for Hoffmann-La Roche in defending proceedings arising from the vitamins cartels of the 1990’s, including in the jurisdiction challenge in Provimi v Roche Products Ltd and Others, reported at  2 All ER (Comm) 683. Acting for Bayer in defending proceedings arising out of the synthetic rubber cartel, including in the jurisdiction challenge reported at  EWCA Civ 864. Acting for ABB in the proceedings arising from the gas insulated switchgear cartel, including in the proceedings brought by National Grid against ABB and others in the English High Court. Acting for Hansen & Rosenthal in proceedings arising from the paraffin wax cartel. Acting for Infineon in proceedings arising from the smartcard chips cartel. Acting for Asahi Glass Company in proceedings arising from the car glass cartel, including in the proceedings relating to the limitation period for claims in the CAT in light of the Foreign Limitation Periods Act 1984 – see  CAT 14. Acting for SGL Carbon in proceedings arising from the carbon and graphite, electrical and mechanical products cartel. Acting for Continental AG in connection with litigation arising from the marine hoses cartel. Acting for Schaeffler in proceedings arising from the ball bearings cartel. Acting for British Vita in proceedings arising from the polyurethane foam cartel, including the fast track procedure application reported as Breasley Pillows v Vita and others; Hilding Anders and others v Vita and others (High Court, CAT). Acting for MasterCard in the proposed collective action proceedings arising from the European Commission’s Decision on EEA multilateral interchange fees. This is reported as Walter Hugh Merricks CBE v MasterCard Inc & Ors. Jon and the team working with him won the GCR award for Litigation of the Year 2018 (non-cartel defence) for their work on this case. He is instructed on the applications for permission to appeal and judicially review the CAT’s judgment in this case. Representing Ericsson, in connection with proceedings brought by Unwired Planet against Google, Huawai and others relating to the enforceability of licences for standard essential patents in the mobile telephony market. Jon co-ordinated the defence of proceedings in England and Germany. Acting for VolvoTrucks and Renault Trucks in litigation arising from the European Commission’s Settlement Decision of July 2016 relating to the medium and heavy trucks markets. Representing Mars in the ice cream wars litigation against Unilever, alleging abuse of a dominant position and co-ordinating the multijurisdictional proceedings and regulatory actions arising from Unilever’s alleged exclusionary conduct. Acting for English Welsh and Scottish Railways in the regulatory and national court proceedings arising from the investigation by the Office of Rail Regulation into exclusionary and other practices resulting in a Decision finding abuse of a dominant position, including successfully defending EWS in proceedings brought by Enron (including defeating a claim for damages in the CAT and on subsequent appeal to the Court of Appeal):  EWCA Civ 2. Jon has acted for many years for major corporates in connection with other contentious anti-trust matters, including the London Stock Exchange, Lloyd’s of London, Wolseley, Hays, and Yara. He has attended at dawn raids by national and international competition and other authorities. He has also advised on several occasions on the strategy for dealing with investigations by those authorities, including immunity and leniency applications. His practice and expertise therefore allows him to advise from initial steps to the end of long-running contentious antitrust matters.